Is iPad doomed? 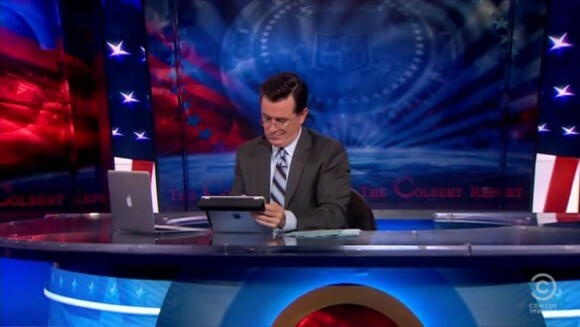 Mac user Stephen Colbert shops for Kindle Fire. Colbert Nation, November 28, 2011 / Black Friday Siddhartha Mukherjee episode (clip + full episode). This entry was posted on Friday, December 2nd, 2011 at 7:12 pm	and is filed under iPad. You can follow any responses to this entry through the RSS 2.0 feed.